We had a lot of snow on Tuesday, nearly three feet of it. Today, I had the chance to go out to the park. A lot of people hate winter--it's not easy to love a season that's freezing cold and drops ice pellets on your head. But there is a quiet beauty to the season. At the risk of sounding a little crazy--and really, all writers are just a little bit nuts--my characters sometimes spring things on me. I love the surprises, the little insights and epiphanies that come to light as I write along. In one of my current works in progress, a ski novel called The Fall Line, the main character, Mia, let me know that she and the hero, Creech, already knew one another. And that they had a kind of short, unrequited romance in the past. It wasn't something I knew about before I started writing and learning it has informed the story. I sprinted down the street, turned the corner to the hotel, and sure enough, there she was, walking along. “Mia, wait.” I barely got the words out; the hard run had taken my breath. She heard me, though, she turned and waited. I had no real plan about what I’d do once I caught up to her; I slowed to a walk so I could get my breath back. Her hair tossed around her long and loose and her cheeks were red with cold. “What’s wrong?” she asked. “Nothing,” I said. And I put my hand to the back of her head and kissed her. It was an impulsive thing to do, but it was the right thing and I could have stood in the cold all night long touching the silk of Mia’s hair, her warm lips on mine, her fingers causing pinpricks down my spine as she caressed the back of my neck. The Fall Line is the second story set in ski country. The first, Dancing in the White Room, is available as an e-book and in paperback. It's a learning process, but I'm thinking not bad for someone who's never played with the monkey before. Kinda fun, too. I think I'm going to go do some more. I don't know how the weather is where you are, but here in New England it is bitterly cold. So cold I've decided to stay inside rather than go walking in the woods. The best cure for the too-cold-to-be-outside blues is a hot cup of coffee or chocolate or tea and a good book. 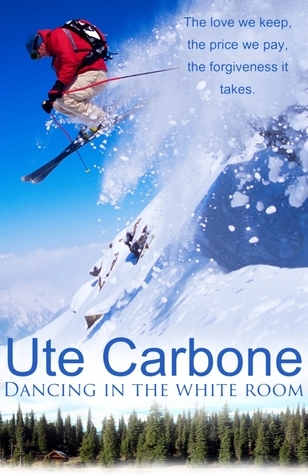 Dancing in the White Room is all about winter and skiing. So, in honor of the season, I'm running a contest on Good Reads. You can enter it here. And you don't need to go out into the cold to do it! Giveaway ends February 01, 2015.